A limited time event featuring giant monsters is now live in Champions Online. The event — in which giant monsters on Monster Island and in Canada have become more aggressive — kicked off today. 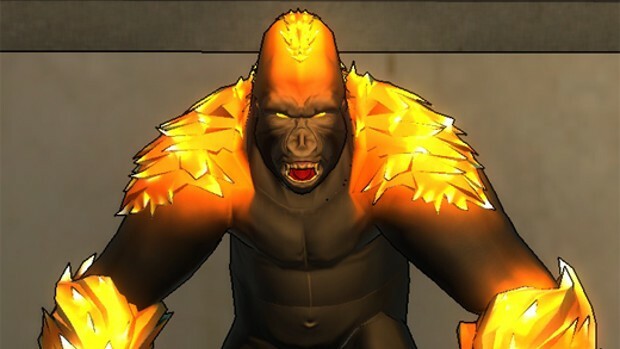 For the next 7 days (until the 12th at 8 am PST) players must deal with the genetically manipulated Teleisarus, the giant, flaming ape Qwyjibo, and the ancient god Kigatilik. During the event players level 35 and up will need to work together with each other and UNTIL in order to defeat the monsters and earn rare costume drops. Players level 40 and over can also earn Silver and Gold Chamion Recognition. Full details on the event can be found on the Champions Online blog.